Spotify or Apple Music are two of the most popular applications to listen to online music. 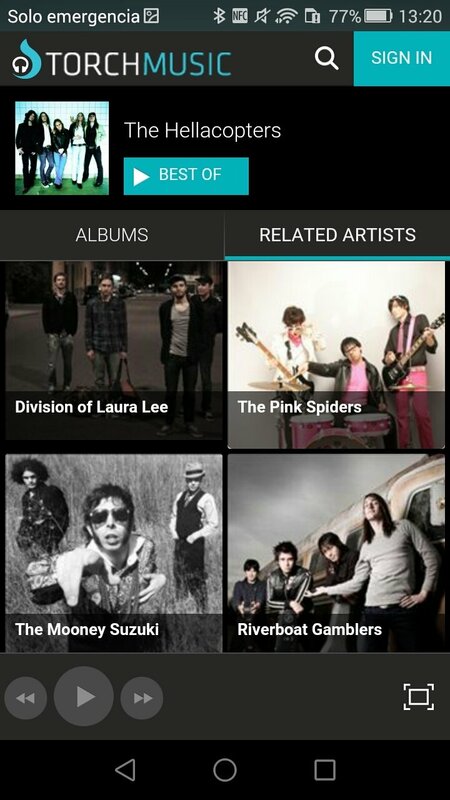 However, there are alternative apps to discover songs and new groups and artists, such as Torch Music. Listen to and discover all sorts of music. The application offers us access to a wide range of free online music thanks to the fact that it connects to YouTube. 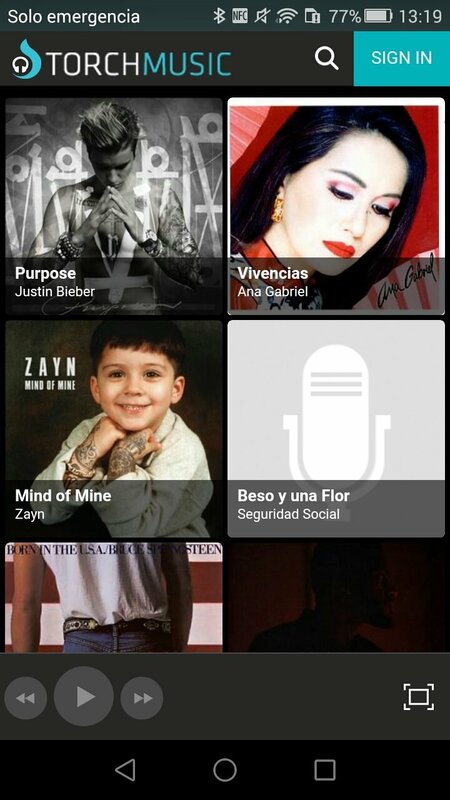 In turn, it offers us the chance to log in through Facebook to access your favorite songs and playlists made by friends. Log in through your Facebook user account to listen to your friends' music. Create your music library and your playlists. 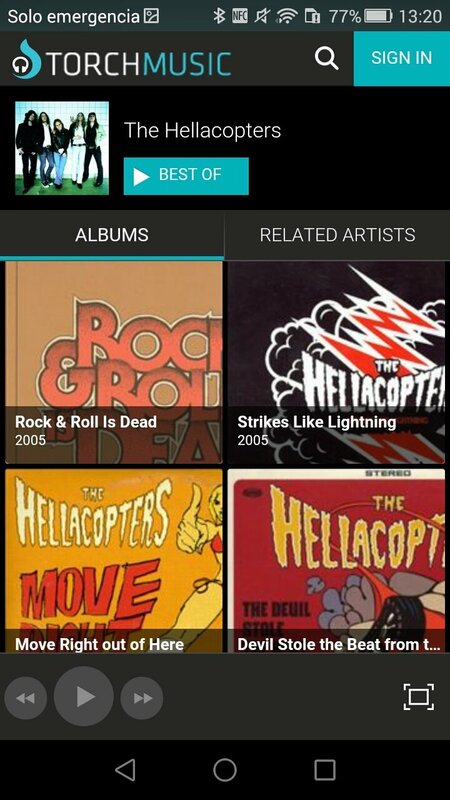 Browse through artists and albums similar to those you've searched. Explore the trendiest music at present.